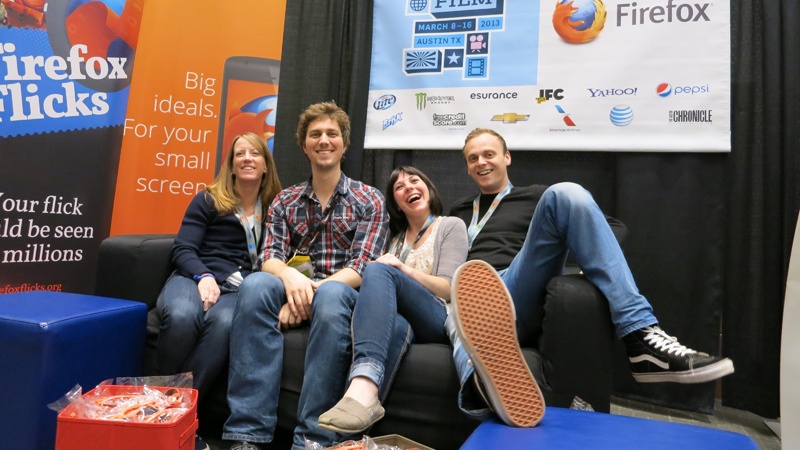 In 2012/2013 I work(ed) as project manager on the Firefox Flicks short film competition which encourages aspiring film makers to submit a 60 second film around mobile computing. 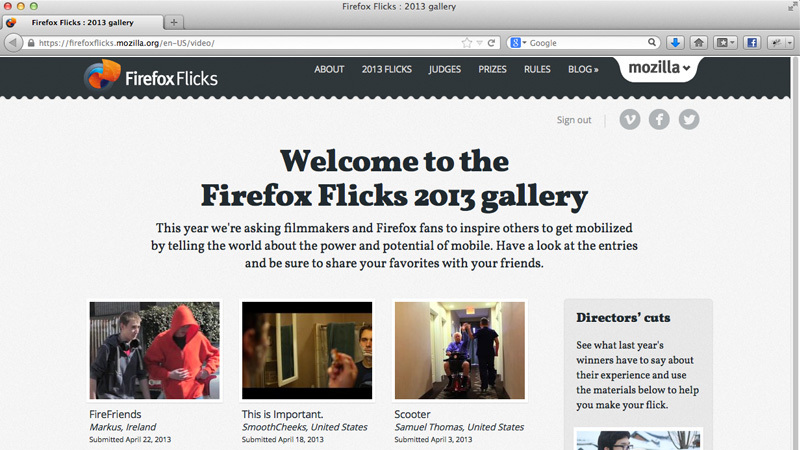 Flicks is one of Mozillas' biggest marketing initiatives. It is done by the "Brand Engagement" team. We have/had fantastic prizes to win like an ad-shoot in LA with Hollywood professionals. Also, many community activities and a jury with industry professionals like Edward Norton.